Heretofore the modern study of the quranic Jesus has basically moved in a single direction, as generally scholars have approached the Jesus passages contained in the Qur’ān from a thematic standpoint. Somewhat inoffensively, therefore, they tend to distinguish between the passages in which Jesus’s birth is reported, those that mention his mission to Israel (including his teachings and miracles), those relative to his death, those which mention him as a prophet or a righteous among other prophets and righteous, and those that discuss his divine sonship and hence the very basis of mainstream Christian doctrine – which most modern scholars regard as the primary target of the Qur’ān’s counter-Christology. Descriptive vs. Anti-Christian Theological Texts? 4. Moving Backwards: A Peripheral South-Arabian Christology? While clearly affirming that God has no partner, and moreover that he is childless, the quranic authors repeatedly encourage their audience to behave like Jesus’s disciples, defend Jesus against the Jews, declare him to be the Messiah and the Word of God as well as a spirit from him (a series of titles they never apply to other prophets), make systematic use of a number of crucial Christian rhetorical moves, and quote more or less verbatim the New Testament Apocrypha and the writings of several late-antique Christian authors. Furthermore, they seem to be engaged in intra-Christian controversies just as much as they seem to partake in anti-Christian polemics. Conversely, the apparently pro-Jewish passages that one finds in the Qur’ān often prove tricky, as they are usually placed within, or next to, more or less violent anti-Jewish pericopes that bear the marks of Christian rhetoric despite a few occasional anti-Christian interpolations. And to further complicate the matter, the earliest quranic layers seem to develop a high- yet non-incarnationist Christology of which, interestingly enough, Jesus’s name is totally missing. What, then, can we make out of this puzzle? To what extent may the Qur’ān’s highly complex Christology help to decipher not only the intent of various quranic authors – which may well be very different from what has been hitherto taken for granted – but also the likewise complex redactional process characteristic of the document itself? Is it, moreover, possible to inscribe the often – indeed too-often – oversimplified Christology of the Qur’ān within the peripheral religious culture of the 6th-to-7th-century Near East? Is it possible, also, to unearth from it something about the tension carefully – or perhaps not so carefully – buried in the document between a messianic-oriented- and a prophetic-guided religious thought, and to root therein the earliest “Islamic” schism – if speaking of Islam before ‘Abd al-Malik’s reign in the late 7th century makes any sense, that is? By analyzing, first, the typology and the plausible date of the Jesus-texts contained in the Qur’ān (which implies moving far beyond any purely thematic division of the passages in question), and by examining, in the second place, the Qur’ān’s earliest Christology vis-à-vis its later (and indeed much better known) Muhammad kerygma, the present study tries to give response to these crucial questions. 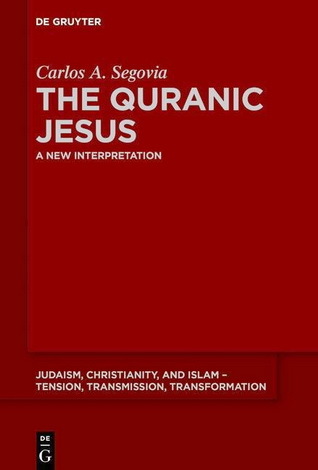 It is this last point, moreover, that has largely overdetermined all modern interpretations of the quranic Jesus.1 Accordingly, most scholars take the quranic passages allusive to Jesus’s birth, life, and death as being merely illustrative of some key episodes of Jesus’s “biography” as told in the gospels; in their view, therefore, such passages convey a purely descriptive purpose, even if their narratives often draw on apocryphal (i.e. non-canonical) sources, or else display new (i.e. elsewhere unmatched) “data.” In contrast, the passages that criticize the notion that Jesus is God’s son – and which question, thereby, the cornerstone of any recognisable Christology – are interpreted by them to contain the Qur’ān’s own theological message about Jesus. As I hope to prove in this book, things are much more complex than most modern interpreters are willing to assume. It may well be, for example, that some if not all of the alleged descriptive Jesus passages hide more than they seem to offer at first sight; or, to put it in more forceful terms, that they serve an ideological purpose which is anything but descriptive. Also, it is not altogether clear how one ought to articulate and interpret the quranic passages that refer to Jesus as God’s messiah instead of God’s son, those which deny Jesus’s divine sonship, those that impugn the Christian trinity, and those which contend that God is childless: do they all belong to the same redactional layer?, and, more importantly, even if one agrees that they all aim at the same idea, which is their exact theological intent? Lastly, is it possible to reread the Christology of the Qur’ān (i.e. the latter’s treatment of God’s Word and of Jesus’s messiahship) against the background of the Near-Eastern Christological developments of the 7th century? And if so, how should they and how should they not be linked? ; this is to say, what specific type of contextual connection between them should be acknowledged in order to pay justice to their apparently complex imbrication and what particular type of subordination should be avoided in turn?